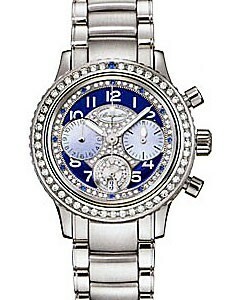 This watch is also known as: 5140BB129W6 , Ref.5140BB/129W6 , Ref.5140bb/12/9w6 . 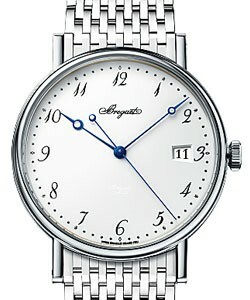 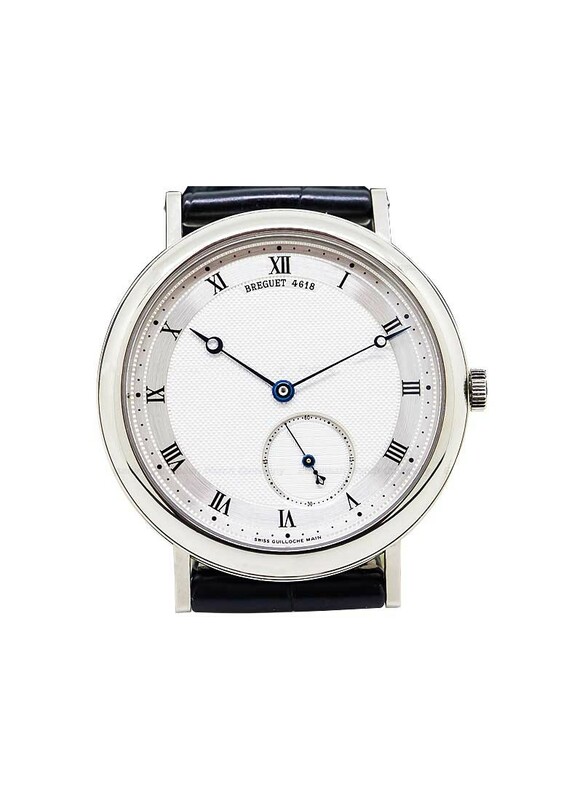 Breguet Classique Automatic White dial Gold Mens Wristwatch. 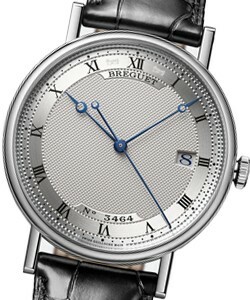 This extremely beautiful Breguet Classique Automatic watch features a 18kt White Gold Case.Crocodile Leather Blue Bracelet.18k White Gold Clasp.Scratch Resistant Sapphire crystal. 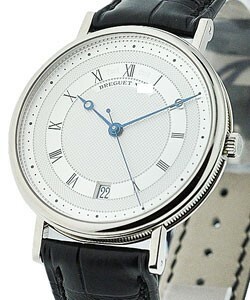 Beautiful Hand Engraved (engine-turned) Silver Dial. 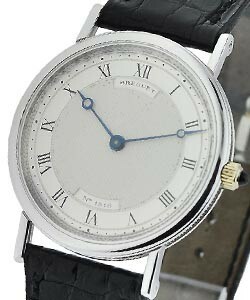 Roman Numeral Hour Markers. 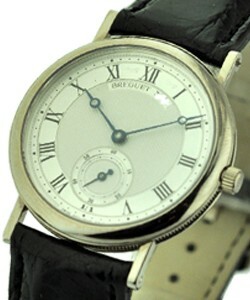 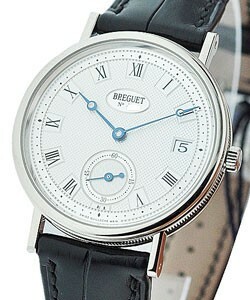 Blued "Breguet" Style Hands, Offset Small Seconds hand at the 6 o'clock position. 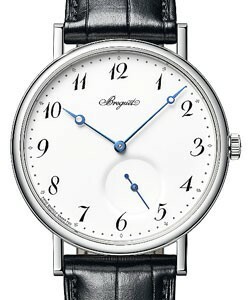 46 Hour Power Reserve.Water Resistant to 30m/100ft.